These 3/4" Custom Casino Size Dice can feature your logo on any or all sides of the dice. 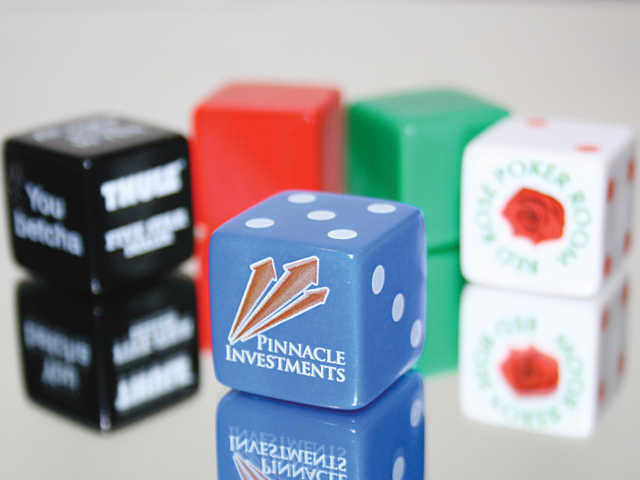 These Custom Casino Dice are made of a durable urea plastic for long use. Choose from five different die colors including, Black, Blue, Green, Red, and White.